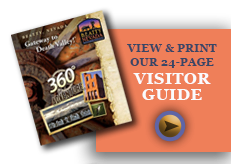 Would you like to receive a Beatty, Nevada Visitor Information Packet? Would you Like to Receive information about future events in and around Beatty? Thank you for your interest in Beatty, Nevada. Our wish is to serve you in the best way we can. To help us serve you better, please fill out the following visitor interest survey. Is this your first Visit to the Beatty, Nevada area?